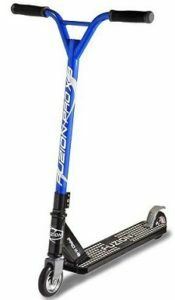 When they first came out, Razor Scooters were all the rage. It seemed that every kid and teenager wanted one, as they were fun, exciting, and highly practical. Instead of using a full-size bicycle to get around, you could hop onto a scooter and tear down the street in style. These days, Razor no longer has a monopoly on the scooter industry, which means that there are a lot of other high-quality makers of these cool and engaging devices. 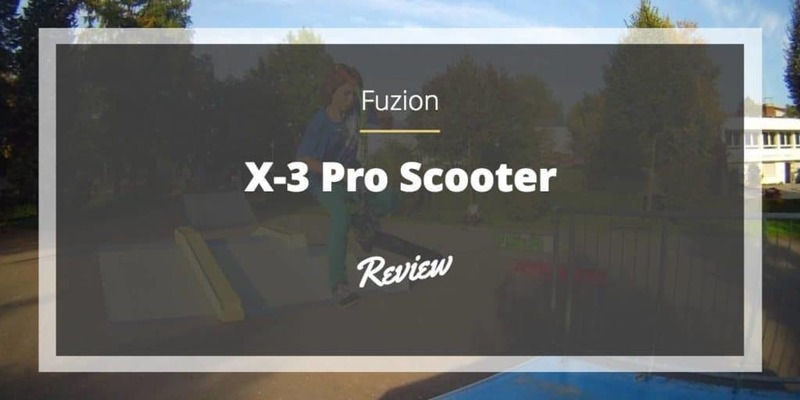 If you’ve wanted a scooter, then the Fuzion X-3 Pro is a great find, especially if you like to do tricks. One of the biggest problems that you find on a scooter is that you have so little space on which to stand. As a result, your feet hang off the sides, and you have to position yourself carefully so that you don’t accidentally fall or lose balance. Thankfully, they Fuzion Scooter is designed with a wide deck so that you can zip around without ever having to feel like you’re going to fall or lose control. A broader base not only gives you peace of mind, but it is far more practical as well. As we mentioned, the Fuzion is built for those who want to do more than just go from point A to point B. If you are the type of person who likes to do stunts and tricks, then the Fuzion Pro-3 is for you. The frame is sturdy and well-built, meaning that you can do hops and jumps without ever breaking it. One of the coolest things about the Fuzion Scooter is that you can find a color and design that fits your personality. With seven different colors to choose from, you are sure to get the scooter that will best add a bit of flair to your ride. Why settle for a boring gray or silver color when you can get other options like red, gold, or blue? There’s no reason not to add some style and pizazz to your scooter. If you like to ride on your scooter, then odds are that you will be tearing down the streets for hours on end. With that in mind, you want to make sure that you are as comfortable as possible, which is why the Fuzion comes with soft-grip handlebars. That way, you can zip down the road without having to worry about things like blisters or calluses developing on your hands and fingers. Q: How much weight can this scooter hold? A: According to the manufacturer, it can handle up to 140 pounds. Q: Does this scooter fold in half for storage? A: Unfortunately, it does not. Q: What is the recommended age range? A: This particular model is ideal for kids between seven and thirteen, but it depends on height and weight. Maximum weight is 140 pounds and height is about five feet maximum. When comparing this scooter to something like a Razor, you will have to admit that this version does have some setbacks, most notably the fact that you cannot fold or adjust the steering bar. Nonetheless, this is a fantastic scooter than can provide you or your kids with endless enjoyment and entertainment, whether you ride around the block or take it to the store. Overall, the Fuzion Scooter is a winner. Buy Fuzion X-3 Pro Scooter on Amazon, Now!